15631 Captiva Dr Captiva, FL. | MLS# 217066831 | Southwest Florida Residential Real Estate for Sale. Historic Gulf to Bay Jewel located on Captiva Island built in 1937. This Old English Tudor-style home was completely restored & custom designed recently to perfection and is offered fully furnished. 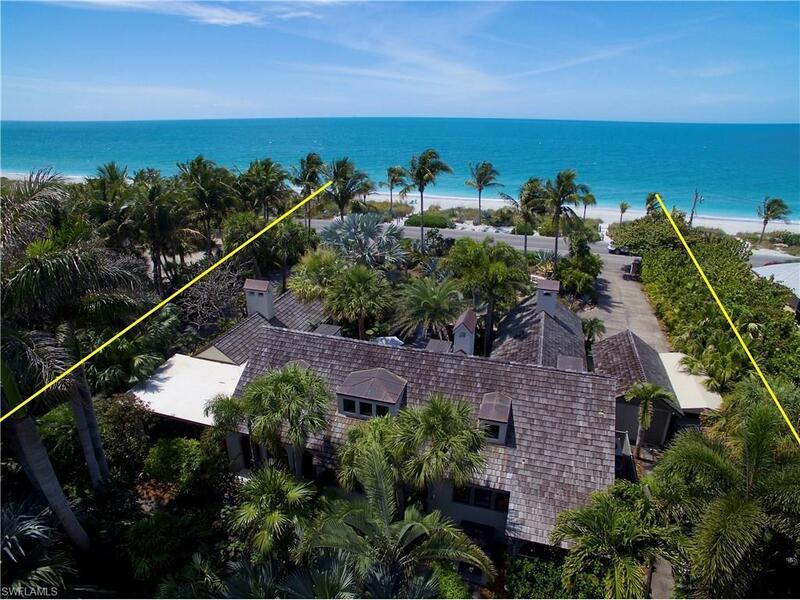 "This home is a part of Captiva's rich past and an opportunity to own such a piece of history does not come along very often The five bedroom/four bathroom 4, 500 square-foot home enjoys 150 feet of frontage and deep water boat dockage along Captiva Drive. The homes Interior features all of the most modern conveniences including but not limited to; a lower level wine cellar, beautiful custom designed staircase, Art Studio, His and Hers Master bath, top of the line appliances & mechanicals, impact windows & doors, state of the art lutron lighting system, oak wood flooring, pecky wood cypress beams, hand carved interior woodworking, three original coral fireplaces, and arched solid wood doorways. Exterior amenities also include a fantastic center court yard & private spa, a spacious pool area, deep water boat dock with lush tropical gardens and over 100 native and exotic palms. "This home has extraordinary design, construction detail and craftsmanship.